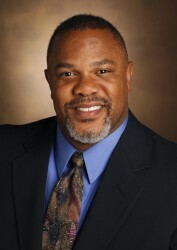 Kevin Johnson, M.D., M.S., professor and vice chair of the Department of Biomedical Informatics (DBMI) and professor of Pediatrics, has been named the department’s new chair after an extensive national search. His appointment is effective Jan. 1, 2012. “The leadership role within DBMI is vital to essentially every aspect of the Medical Center’s strategic growth,” said Jennifer Pietenpol, Ph.D., director of the Vanderbilt-Ingram Cancer Center and chair of the search committee. “The search committee carefully evaluated a number of highly skilled and accomplished candidates from an applicant pool of national scope. Dr. Johnson’s selection was unanimous.